Photoelectron spectroscopy is a technique in which the electronic structure of materials can be revealed, by exciting them and examing the spectra of the emitted photoelectrons. Adding temporal resoltuion to the technique relies on a stable source of ultrafast probe pulses with which to temporally sample the photoelectron spectra. One implementation of time-resolved photoelectron spectroscopy takes advantage of the high brightness and highly tunable radiation provided by synchrotron radiation. The ultrafast probe pulses however are not so trivially generated by synchrotrons, so a synchronised ultrafast laser system can instead be employed to provide this aspect of the technique. At the SPring-8 Synchrotron in Japan a Ti:Sapphire laser system is used on one of the beamlines for this purpose. 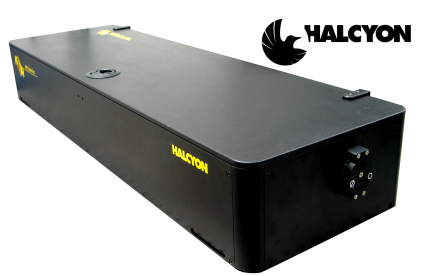 The laser system is seeded by a KM Labs Halcyon Ti:Sapphire oscillator, delivering 85MHz, 20fs 4nJ laser pulses. Using this beamline and the time resolved photoelectron technique, the time evolution of Si 2p core-level after laser induced surface photovoltage effect was measured. After excitation, the relaxation time varies from ns to µs.